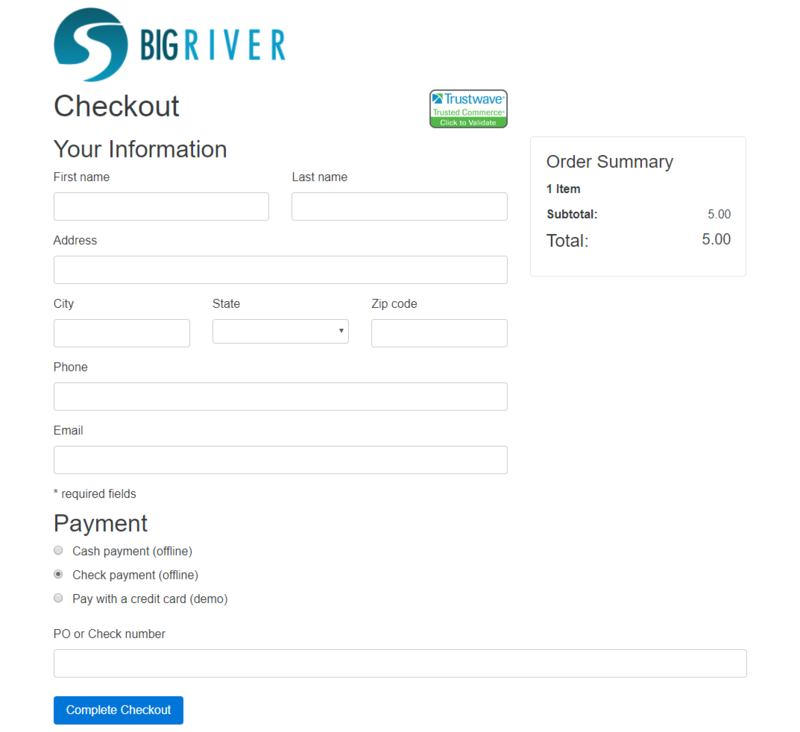 Since the beginning of Big River, we allowed accounts to create ‘private’ items and payment methods that were only available on landing pages when a user was logged in. This allowed organizations to create ‘back office’ pages or options on pages that supported offline transaction options that were not to be posted on the website: special items (like complimenatry ones), invoice/bill me/cash in-hand payments, and similar options. 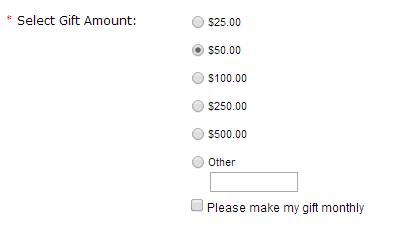 These features are now available on Giving Catalogs. All items in Big River have ‘lifecycle’ properties – whether they are visible or not, and over what date range they are visible. Items which are not flagged as visible, or which are outside of the visible date range will not appear in Catalogs to constituents. However if a user is logged in to the Catalog, all items will be visible. 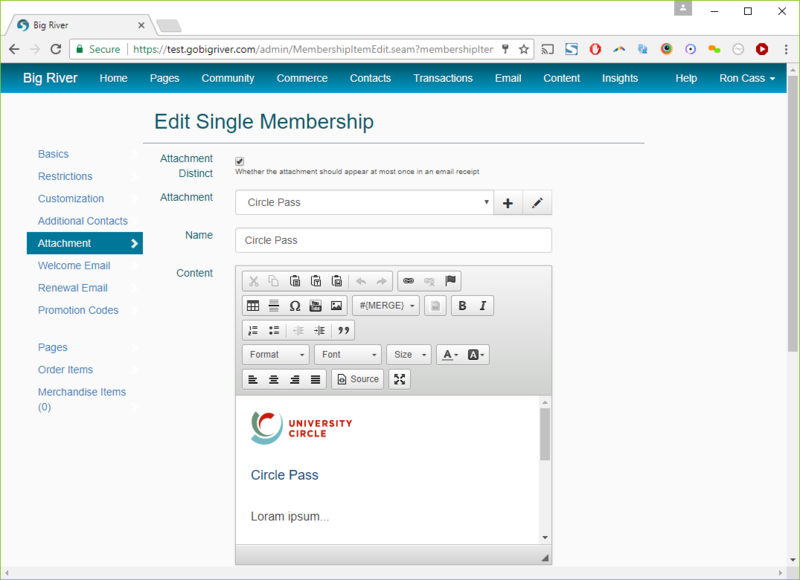 This allows you to publish items that only staff should be able to access in your store, in the same categorization as publicly available items. This also allows staff to be able to easily register your important constituents who may have missed a deadline for an event registration or early-bird price. Note that if you are concerned with staff adding items to carts that they should not, you can still remove items from your catalogs, in which case they will not show up for a constituent or user. There is an option to log in to the Catalog on the Tasks menu of the editor or the View menu on the list of Catalogs. 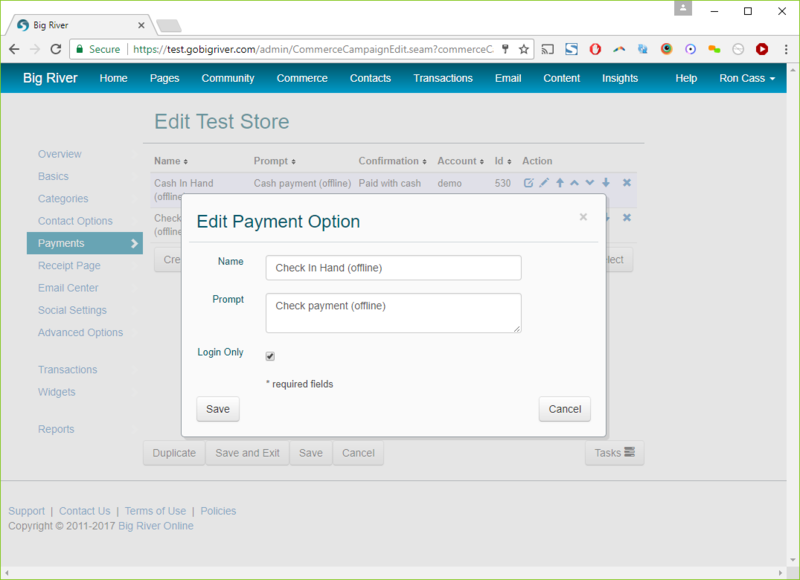 Just like items, the latest release of Big River allows you to set the visibility of Categories. You can set a flag that controls if the Category is visible, and a date range in which it will be visible. Just like visibility on items, if a user is logged in, they will be able to access hidden Categories. This enables your staff and volunteers to use the same store for ‘over the counter’ payments, for billing corporate constituents, etc. This reduced the amount of time and effort to support these types of transactions. 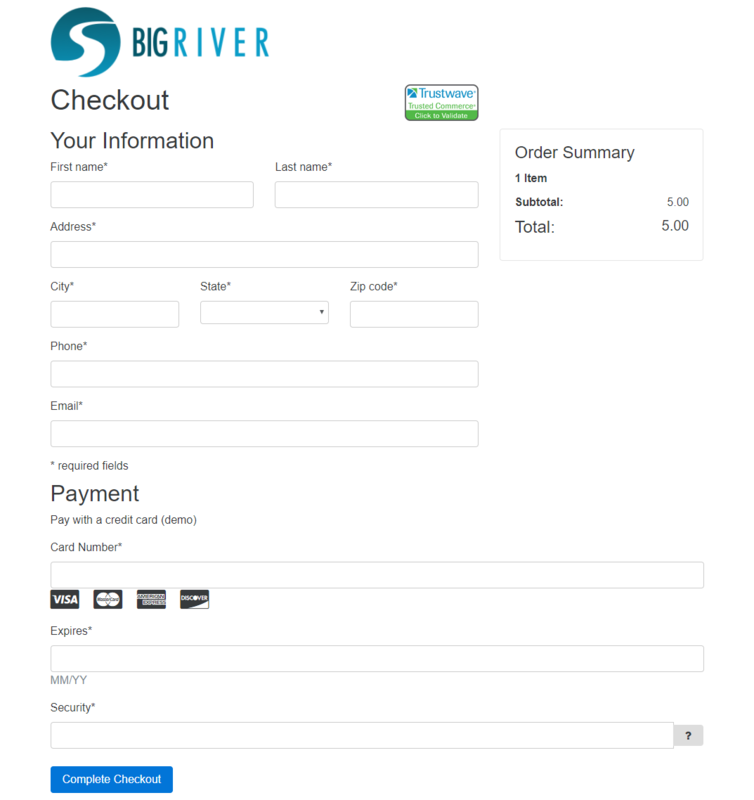 The transactions are created and stored like any transaction coming into Big River. 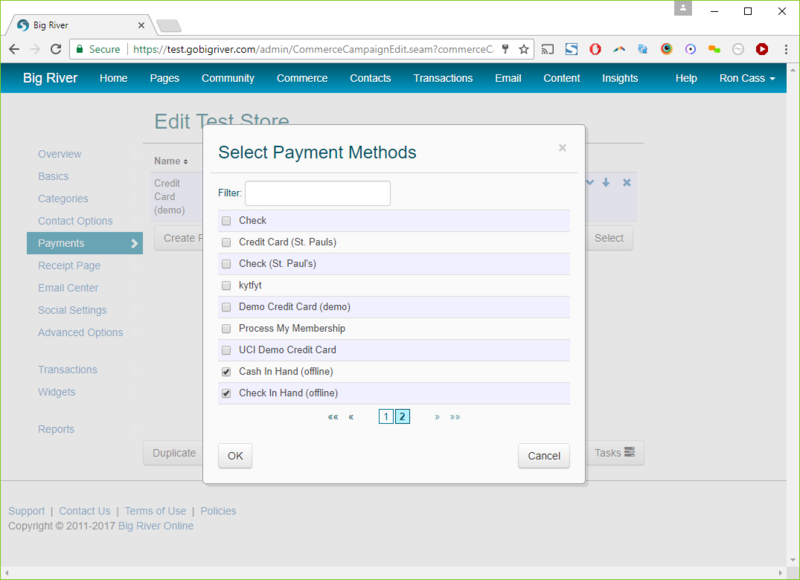 If you are currently using an internal Landing Page for these types of transactions, contact us to get everything in one Catalog and Cart! 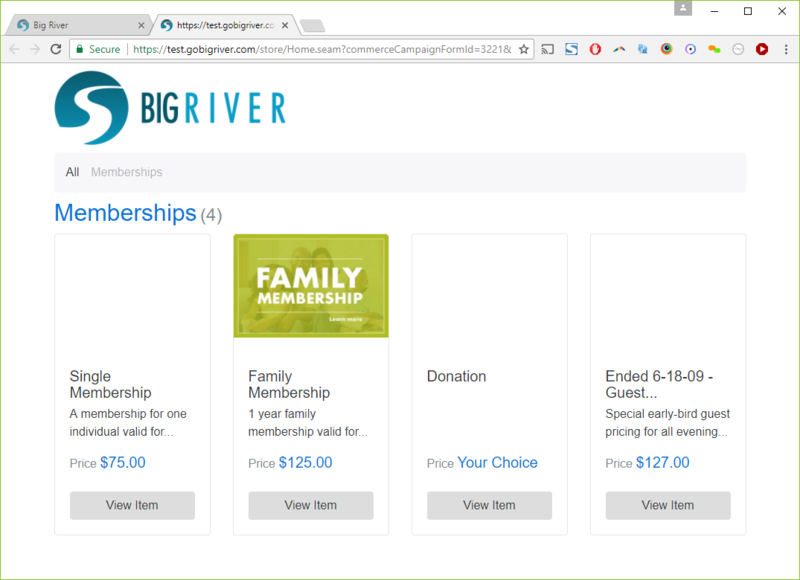 Item definitions in Big River include document attachments, editable online, which are attached to a constituents email receipt as a PDF file. If a constituent orders multiple items of the same type, multiple copies of the same file are being added, which is confusing and ‘wasteful’. These features (and a bunch of minor ones) are the result of feedback from user like you into how Big River can improve your constituent experience and your operations. These new features are in the latest update to production, and all your existing pages have automatically been updated. We hope this improves your work in Big River, and we look forward to any feedback on these features.